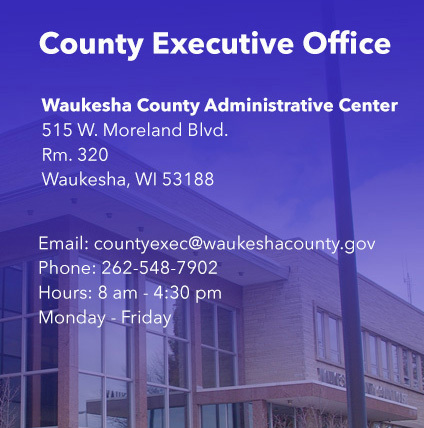 Waukesha County is organized under a County Executive form of government. The County Executive is elected for a four year term in a county-wide non-partisan election in April. The Executive is responsible for coordinating and directing all administrative and management functions of the County which are not vested in other elected officials. The Executive has the power to appoint the heads of all County departments, except those headed by elected officials or State statutory boards and commissions. The Executive appoints the members of most boards and commissions. Appointments are subject to County Board confirmation. A major responsibility of the County Executive is budget preparation and its submission to the County Board. The County Executive may veto a resolution or ordinance passed by the County Board, and the Executive may exercise a partial veto of legislation which involves an appropriation. A two-thirds vote of the members elect of the County Board is necessary to override a County Executive veto."